The first inaugural Canadian BioDesign Conference will be hosted by Bioindustrial Innovation Canada (BIC) and Lambton College. 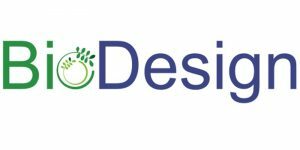 Take part in the first inaugural “Canadian BioDesign Conference” hosted by Bioindustrial Innovation Canada (BIC) and Lambton College on Wednesday, September 12, 2018. In this panel companies will discuss how they have worked with BIC’s COMM SCI program, Lambton College and The Western Sarnia Lambton Research Park which have helped them commercialize and successfully develop and execute their projects along the value chain. 4:10pm – 5:30pm – Wine and Cheese Reception sponsored by VIP Rail Inc.